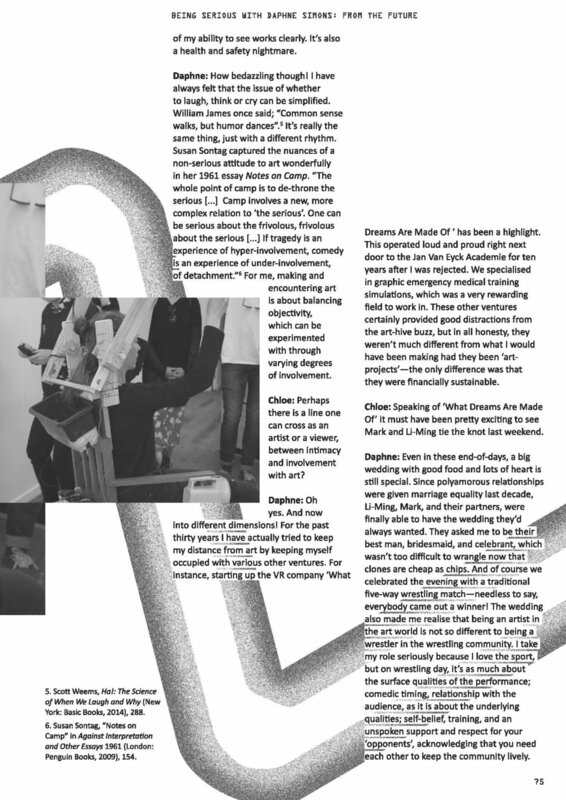 Part 3 of a 3 part interview with artist Daphne Simons for The Physics Room's three part magazine HAMSTER. Using Irit Rogoff's essay "On Being Serious in The Art World" as a departure point, we discuss Simons' past collaborations, as well as the direction of her current and future solo practice. Images courtesy of The Physics Room.